My wife and I just finished a 30-Day experiment with the Paleo diet. In today’s post, I’d like to explain the diet and why we decided to do it. 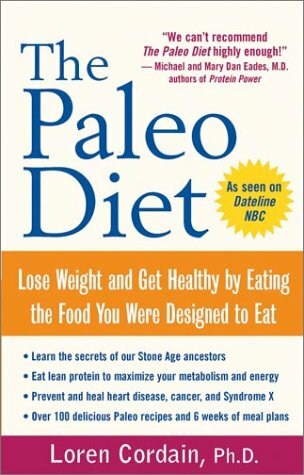 Paleo is short for paleolithic, which is a fancy way of saying “Stone Age”. The basic idea is that the human body is naturally adapted to the kind of diet that is common in pre-agricultural, hunter-gatherer societies. In other words: lean meats, fish, vegetables, fruits, seeds and nuts. There are a lot of evolutionary assumptions here that continue to be debated among nutritionists and anthropologists. These may come into play later in the series, but for now I’m not really interested in that side of the debate. My concerns are much more pragmatic. For now, I think I can draw parallels between the Paleo Diet and the Barefoot Running movement, which argues that the human beings are “born to run” barefoot: the modern innovation of running shoes is unnecessary. Paleo proponents argue that the human body is “born to be run” by certain types of food, and modern civilization has actually led to the diseases of affluence that are common in modern society: obesity, heart disease, and various types of cancer (which are rare among hunter-gatherer societies). I heard about the diet at my CrossFit gym. They were challenging us to take something called the Paleo Challenge, a 30-Day experiment with the Paleo lifestyle. “Try it,” they said, “and see if you’re not better, faster, stronger, happier.” Now I’m always skeptical about these kinds of promises, and yet I’ve seen such great results from CrossFit (which made similar promises), that I decided it might be worth a try. I wondered, could Paleo do for my health what CrossFit did for my fitness? My wife had to sign off on it, especially since she does 99.9% of the cooking at our house (I make eggs for breakfast once a week). I was surprised at how quickly she agreed to it. I am a person who likes to experience things from the inside whenever possible rather than as a “detached observer”. I didn’t think it would ultimately change the way I eat, but having never dieted before, I wanted to see if I felt as good as advertised. Plus, it was only 30 days. How hard could it be? 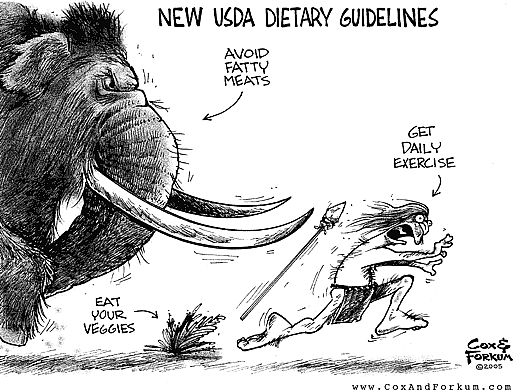 Question: What would be the hardest thing for you about the eating like a caveman? This entry was posted in Paleo Diet and tagged Crossfit, Food, Life, Paleo by Justin. Bookmark the permalink. Two questions. Did you lose a lot of weight after the experiment? I’ve also tried eating healthy during the summer. But I allowed a lot of exceptions. For example, if everyone decides to go out to taco bell/kfc, i would of course eat with them. So i made an exception to just eat one meal of junk food a week. But i also realized that it is expensive eating healthy. Did you find that you had to use more money for grocery? John, losing weight wasn’t our goal, and we don’t have a scale. I haven’t weighed myself in about a year. But if you go paleo/eat like a diabetic, you will lose weight, because the diet is so low in carbs, etc. Do you need to lose weight? On, the money question, it will always be more expensive to eat healthy. But I’ll expand more on this in the takeaway and tension section. I wasn’t actually looking to lose any weight. I was just curious how much weight you lost after the diet. you might want to have a look at Mark Sisson’s Primal Blueprint also – very similar to Paleo but slightly less strict. Couple of comments: I personally believe dairy is OK (especially in fermented form like in yogurt for the lactose intolerant) in moderation; unsweetened tea is better than coffee – and in any case the amount should be limited due to caffein; alcohol is OK in extreme moderation (your archetypical one glass of red wine). Thor, we researched a lot of the different versions of and ended up modifying a little bit. My wife is nursing, so cutting out dairy didn’t make sense for her (she could have, but we would have had to work a lot harder to make up the calories). We both sprinkled cheese on various paleo dishes for taste. I used protein shakes as well, they’re just such a quick and easy protein source. So I’m assuming that you eat paleo/primal pretty consistently? oh, would you mind if I’d grab your images? they are hilarious!